A creamy porridge of oats, lentils and fresh strawberries. Pressure cook the moong dal with three cups water until soft. 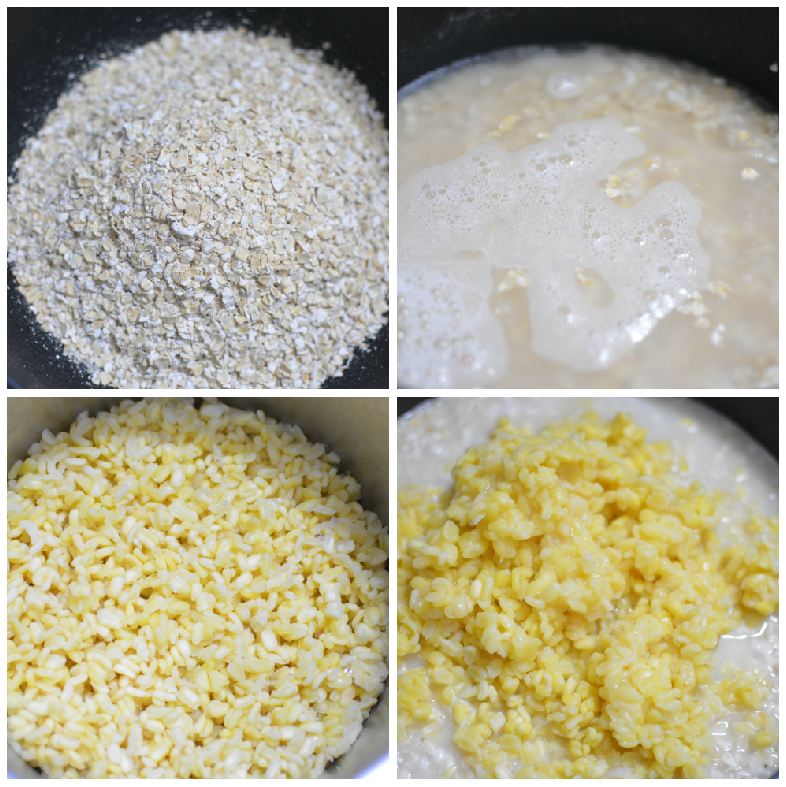 Cook the oats with three cups of milk. You may cook them together if you like. Combine them both and cook on low. 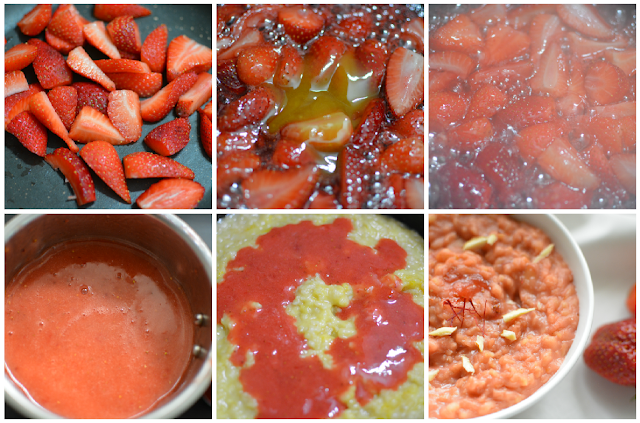 In a medium skillet, bring honey and strawberries to a good boil. Once it gets pulpy and soft, filter it through a sieve to get rid of the seeds if you like. I like the texture and crunch of strawberry seeds, so have used it as is. Pour the puree into the oats and lentil mixture. Garnish with a few spoons of ghee, a few strands saffron and slivered almonds. Serve warm or chilled in the fridge like dessert. Enjoy!